After you’ve gotten over the initial trauma of your injuries and you are on the road to recovery, you may be wondering what steps to follow to cover your expenses and protect your financial security. Initially, that will take the form of Section B benefits under your own insurance policy, and if your injuries are the result of the negligence of another driver, you will have the ability to obtain compensation from the at-fault driver, usually through their insurance. In both cases, here are some tips to help you support your personal injury claim for compensation. After your accident, work with your medical practitioners to recover as quickly as possible. A speedy recovery is in your best interest, and you also have an obligation to minimize your losses (this is known as mitigation). You must follow your doctor’s directions and take whatever therapy your doctor recommends to avoid an allegation that you have failed to mitigate your losses. Insurers can and do refuse to pay benefits if they think you are not co-operating in your recovery. In the case of a claim against an at-fault driver, the at-fault driver’s insurance company will expect you to mitigate and if the claim goes to trial and a court finds you have failed to mitigate, it will work against you to reduce the amount of damages you can recover. Check in at least every 3 to 6 months to update your lawyer with all information. 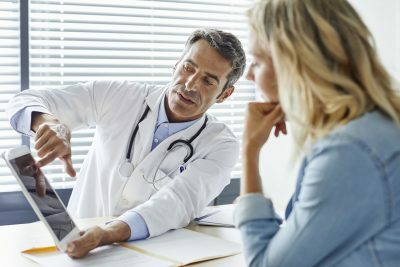 If there is a change in your treatment or you are scheduled for a new procedure or surgery let your lawyer know as soon as possible (e.g., don’t wait). Get supporting documentation for your accident claim or ask your lawyer to obtain the information on your behalf. Follow your doctor’s recommendations and treatment orders. Retain accurate, dated records of your treatment, including dates of all appointments with healthcare practitioners and therapists. Inform your lawyer about the progress and success of these treatments. Maintain accurate records with dates of your time off work or your time working, while you are recovering from your injury. Keep all receipts for expenses related to your injuries and the accident. The time it takes to recover depends on the nature of your injuries. We strongly advise that you do not settle your claim until you know the final outcome of your injuries and how these injuries may affect the rest of your life. Some injuries may result in arthritis or other long-term conditions that may last for years. Only time will tell what the outcome will be. For all injuries, we suggest you should wait at least 12 months from the accident before considering a claim settlement. Further, you should make sure you’ve got confirmation from you doctor that your injuries have either resolved or plateaued (e.g., no further improvement is likely) before you consider settlement. Finally, you should consult a lawyer before signing off on an settlement (if you aren’t already represented). Once you sign a settlement agreement, you give up your right to sue the at-fault driver for damages so it is very important you fully understand the agreement and it’s consequences. What Happens If You Have a Soft-Tissue or Whiplash Injury Claim? In October 2004, the Alberta Government passed the Minor Injury Regulations and The Diagnostic and Treatment Protocols to limit damages for pain and suffering to a maximum of $4,000 Cap (2004 dollars adjusted for inflation) for Grade I and II strains, sprains and whiplash injuries from motor vehicle accidents. Grade I and II strains, sprains and whiplash involve muscles and ligaments only. Recent Alberta Court cases have further limited what claims are capped to those that are truly “minor injuries.” If your injuries continue for a period of over a year, it is likely that the Cap does not apply. Other injuries including: nerve, tendon and temporal-mandibular joint dysfunction (TMJ) are not capped. If you have soft tissue injuries from non-motor vehicle accidents, these are also not capped under the Alberta regulations. The point is that even if it initially looks like your claim is within the capped regulations, your soft tissues or whiplash injuries may be outside the Cap. Sometimes the full extent of an injury takes time to become clear. The important thing to remember is that you should not make decisions about whether your injury is minor without consulting a medical professional and getting some advice from a lawyer. Insurance Adjusters acting for the responsible party are not acting on your behalf. Accordingly, any suggestion from them that your claim is capped should be reviewed by a personal injury lawyer who will be able to provide information and advice protecting your interests. To learn more about what you’re entitled to for your injuries, talk to us. Book a Free Consultation With One of Our Experienced Alberta Injury Lawyers.